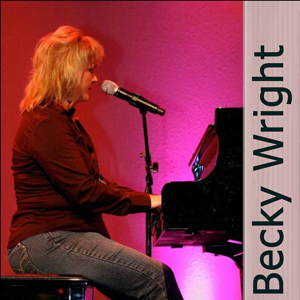 Becky Wright has been playing the piano and singing in church since she was saved as a 12-year-old. God has used her in leading worship at many churches and revivals, and in speaking/teaching in women’s conferences, crisis pregnancy events, retreats, and sharing God’s heart for orphans and the fatherless through foster care & adoption advocacy. She was a Final 5 Nominee for Gospel Album of the Year with the 2016 Independent Music Awards, and named the 2008 and 2011 “Female Songwriter of the Year” at the Agape Fest (Christian music festival). Mrs. Wright has recorded five solo albums, and is a featured soloist on two albums (2015 & 2017) of the Singing ChurchWomen & Singing ChurchMen of Oklahoma.